Green Toxic Algae. Poison Poised and ready to kill us. 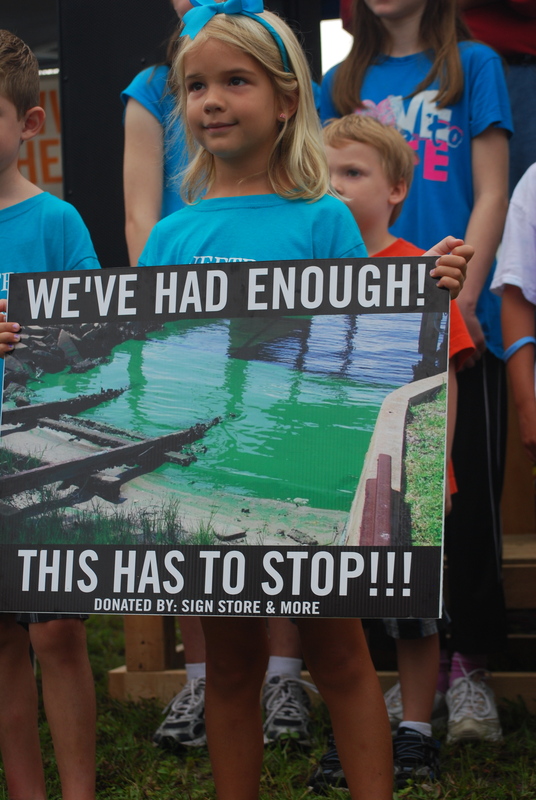 Green Toxic Algae is poised and ready to be sent down our water ways that will result in the horrible destruction of our Estuary, our sea grass, our oysters, our health and the health of all life that lives in the St Lucie River and the Indian RIver Lagoon. You can go back and read this blog especially here. I brought the issue up to date and included the video from the Sugarland Rally when we went to Clewiston with open hearts and the Sugar Rulers instead of seeing that one day we would need a solution to this issue basically blackballed our good efforts. Maybe if back then the people would have come and thought for themselves we could have come up with a solution. and you can go here and get some incredible insight into why this is happening. I think between these three blogs you can read all you need to know. We have truly done everything possible. 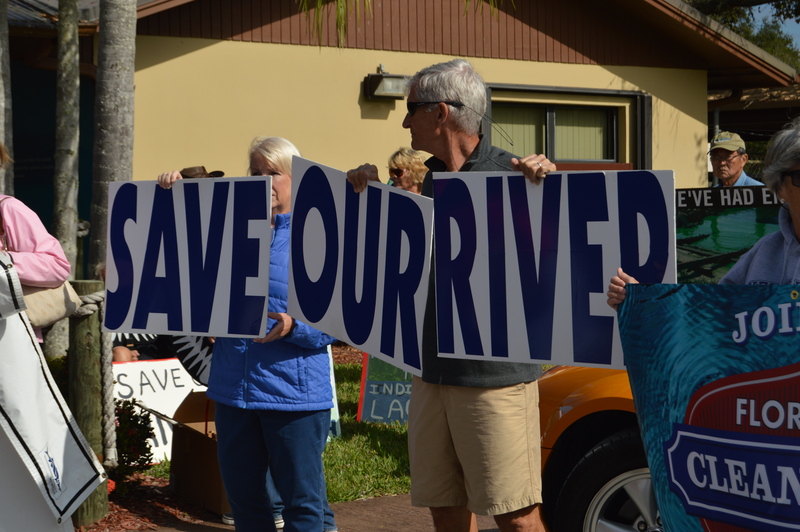 We have confronted the ACOE, Rick Scott, the South Florida Water Management District, our legislators. All have fallen on deaf ears. On a positive note we have educated thousands of people to this issue. We have documented these issues so no one can say this never happened. We, not being one or two individuals but an entire community of the most dedicated people I have ever met. We are all part of one big puzzle. No one greater than the other. Without the pieces we are incomplete. We all have our jobs. Organically. Not manipulated. And hopefully we’ll stay that way. We all sit here today and worry about what’s going to happen on Monday when the locks open up. I come back to my original question when this happened in 2013. How can the intentional destruction of the most diverse estuary in North America be legal? 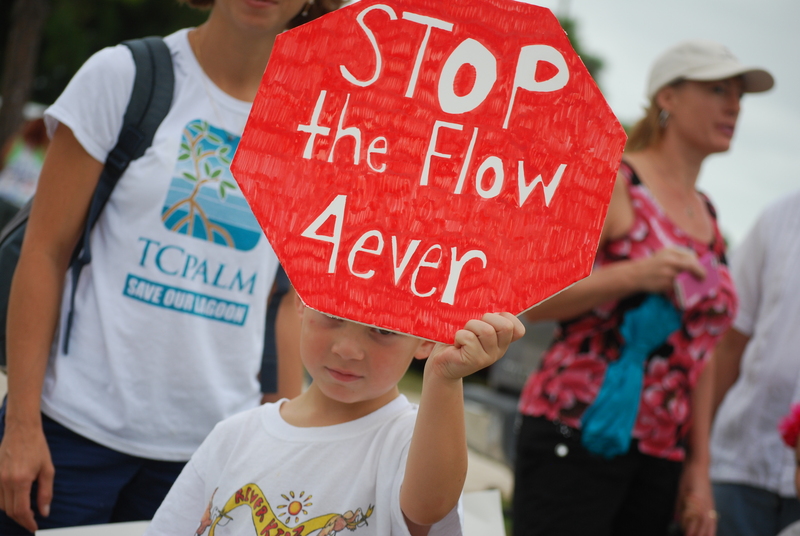 How is the intentional poisoning of our St Lucie River and Indian River Lagoon allowed in the United States of America? We have two events. One on Sunday and one on Monday. Thank goodness for Orca and the Killroys and Edie Widder. 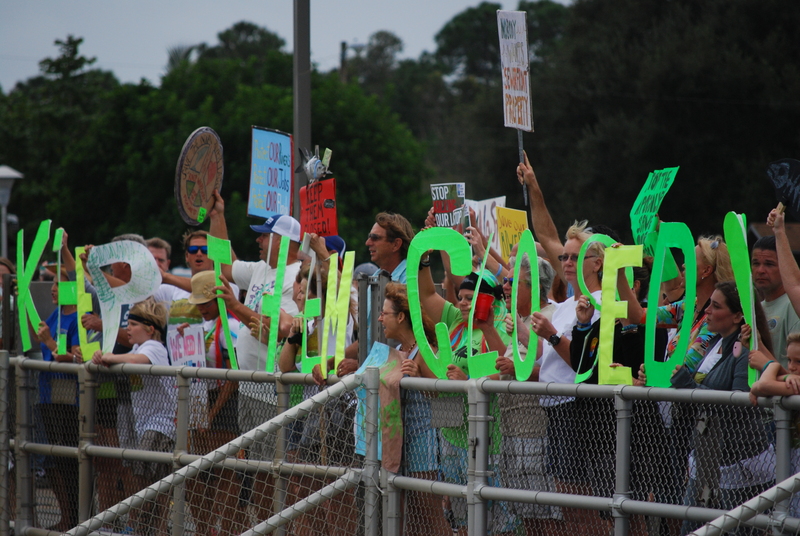 1) 581 million gallons a day released to the St Lucie River. 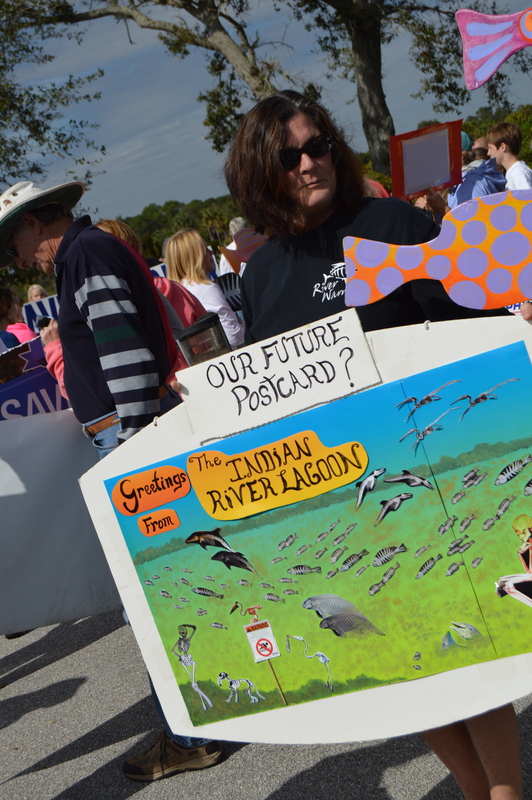 3) The discharges waste water that would replenish the Everglades. 4) The discharges strips our basic human right to clean drinking water. 5) The discharges will destroy water quality by moving a toxic into our homes resulting in massive fish kills and making the water unsafe for human contact. Other things that you can do. Thank goodness for our wonderful Maggy! 1. Call YOUR legislator. They mostly don’t care if you don’t vote in their district. Other than grabbing them and shaking them, nothing is more effective than a phone call. You can get the phone number of your representatives and senators from several websites – Audubon, cleanwater.com, the Everglades Foundation. The message is simple. Use Amendment 1 money to buy land. Exercise the US Sugar option. 2. Get two other people to do the same thing. 3 Send emails to your legislators. That’s not “instead of.” Call them AND send them emails. Get two other people to do the same thing. 4. Get the Dade County Commission and the Dade legislative delegation to take a strong public stand. 4. Email and call the governor, the president of the Senate and the speaker of the House. 5. Sign every online petition you can find that says, “Buy the land. Send the water south.” Get two other people to do likewise. 6. Go to rallies and wave signs. 7. Write letters to the editor. 8. Take names. Most legislators care only about their home district. Those running for higher office are aware that the rest of us matter. They think we are forgetful. If you haven’t signed all these petitions, sign ’em and pass them on to others. This entry was posted in clean water, environmental, everglades, florida, florida legislature, my martin county, Places I love and tagged army corp of engineers, barack obama, buy the land, clean water, congressman patrick murphy, environmental, everglades coalition meeting 2015, everglades foundation, everglades trust, florida legislators, green toxic algae, indian river lagoon, jacquithurlowlippish, lake okeechobee, send clean water south. ← If you call a politician a vulture isn’t that an insult to the vulture?